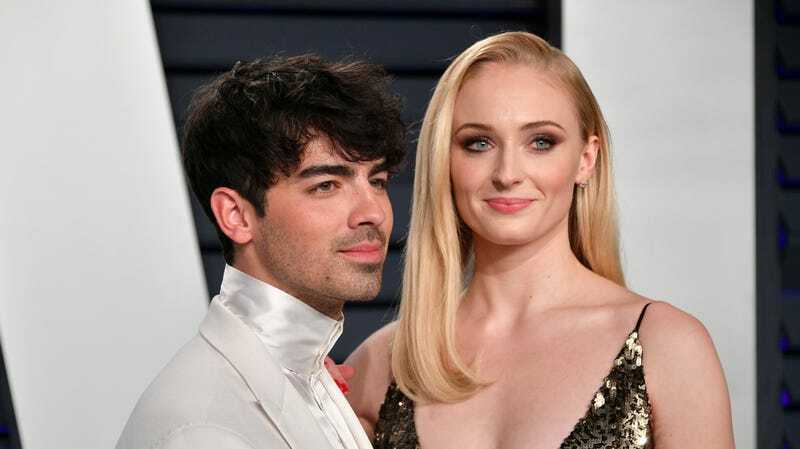 I respect Sophie Turner and Joe Jonas a lot; they got engaged almost two years ago and are still taking their time to get married, while Nick Jonas and Priyanka Chopra beat them to it and had like, three weddings in a row just because they could. In Harper’s Bazaar UK’s latest cover story, Turner seemed especially nonplussed about their relationship, especially when asked if Joe’s fans hate her. Do his fans hate her? “Yeah, I guess so. It’s better now,” she confesses. “His fans have gotten a bit older. If I’d been dating him during the years when he was appealing to the 14-year-old crowd, it might have been a bit more hostile. basically I am 20 pounds heavier than I was before miles. he’s 10 months old, I never lost the last bit because I just love food too much. Just coming to terms with my new normal, when I had this certain number for so long! She added that she lost a lot of weight after having her first child, Luna, but it was due to her postpartum depression. “I’LL TAKE THESE POUNDS AND THIS FEELING!” Good for her. Amber Heard and her new boyfriend carrying two iced coffees in one hand is my summer look personified.